Like a great spouse, the “good” kind of debt (or leverage) can be your best friend when it comes to investing. And, like a not-so-great spouse, it can also be the friend you wish you had never met. Successfully leveraging debt has made many people fabulously wealthy, but it has also taken many people all the way to bankruptcy. 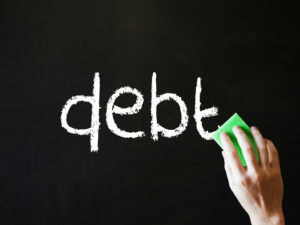 Debt can be your best friend or your worst enemy, depending on how you leverage it. There are two ways you can use debt for investing. First, you can have and use debt for certain investments in your portfolio, like when you purchase a piece of real estate and take a loan out on the property. The second way is by owning debt, as in a 1st trust deed, a mortgage, or a note. This is essentially where you are acting as the bank or lender. Individual investors have become wealthy using both methods. Like any investing strategy or product, they all come with some risk, but if done well, they will provide rich rewards. In spite of this, I am always surprised at how few people truly understand that there are many types of investments out there that can produce consistent returns — often in the double digits — with very little risk. I think part of the reason people are unaware of the many profitable investment opportunities is because investing does not come easily for most of us. Not only that, but it takes serious work to become good at it. I get it. I love the world of investing, and I obviously do it for a living. But, if investing isn’t your day job, then it is just one more thing you have to work at and learn at the end of the day. For most of us, that doesn’t always sound like the most fun thing to do. Unfortunately, though, people who don’t know about these opportunities are missing out on the very strategies that could help them build their wealth and investment portfolio. Let’s go back to our two types of debt. When you purchase an investment with debt (i.e., buying property and using a loan for a portion of it), you leverage your money. If you are doing it correctly, you will have a higher return. Real estate is a perfect example. Let’s say you invest in a single-family home that costs $200,000 and you put 25% down ($50,000). Your investment is $50,000 of cash out of pocket. If you are paying 5% on the debt service and your investment produces a greater than 5% return (in other words, if your rent received is more than the amount you pay your loan servicer and for all your expenses), you have a winning formula. Let’s look at two different scenarios to see how leveraging debt actually works. Let’s say you have $200,000 in cash and you decide to use all of it to purchase the home. If it produces $20,000 a year in net operating income (NOI), that would be a tidy 10% return on your investment of $200,000. Not bad. But, how would this look if you were to use debt to leverage your investment? If you invested $50,000 cash out of pocket and received a loan from the bank for the rest, and you were paying $10,000 a year in debt service on your loan, with $20,000 in NOI , you would now be netting $10,000 in cash flow ($20,000 in NOI less $10,000 in debt service) on your $50,000 investment. Do you see what we’ve done here? Just like that, we increased your return from 10% ($20,000 on a $200,000 investment) to 20% ($10,000 on a $50,000 investment). Now, if you were to take your $200,000 in cash and split it up into four $200,000 rentals with $50,000 down each, with each one producing $20,000 a year, your combined NOI would be $80,000 per year ($20,000 x 4), less $40,000 for debt service for the 4 loans, so you’d be netting $40,000 a year on your $200,000 investment. That’s all good if things go as planned. If your cash flow were to drop below $10,000, your investment would turn into an expense. I am not going to go into all the math, but you get the picture. Once again, debt can be a friend and a foe. But what about the type of debt where you are the bank or the lender? Does it work the same with risk and reward? It certainly can, yet I think most investors who act as the bank downplay the overall risk. The problem is, when things go bad with investing, they usually go really bad in many different ways — not just one. This was a hard lesson that both Steve and I learned during the big recession. We were “the bank” on many different properties, but they were all vacant land. When things go bad with vacant land, it just becomes an expense. That is why we insist on stress testing all our investments and funds to understand what they would look like in a serious downturn. Our fund Guardian has single-family homes that can always be rented out and be income-producing. If it came to a bad downturn, they will most likely produce income greater than the expenses. Bottom line, Guardian could withstand and probably still make money in a long and horrible downturn, should it ever come to that. As you can see, the “good” kind of debt can be used to increase your returns, and it can be the product itself for making money. It is one of the most powerful tools for wealth accumulation, and like any powerful tool, it must be respected, understood, and properly used for the benefit of your portfolio.